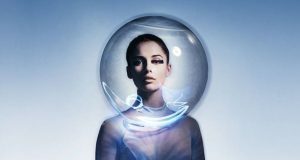 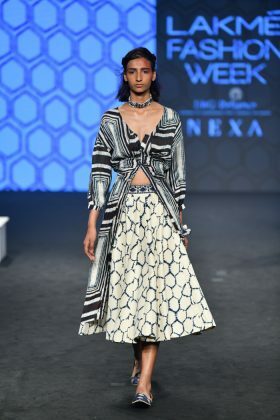 This season, day 5 Lakme Fashion Week 2019 Summer/Resort aimed to encourage and inspire talent, artistry, design and technology. 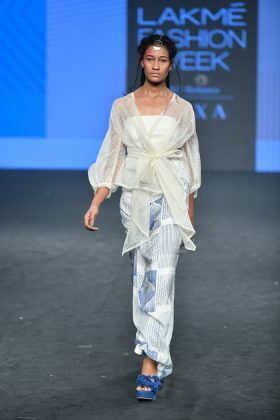 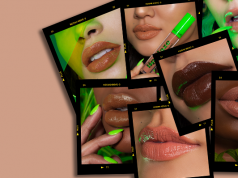 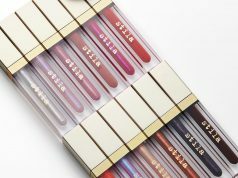 There were some new designers who came out of their shells to show their passion for fashion, whereas some known designers pushed their boundaries ahead to show their amazing talent.  Know the details of these designers and their amazing collection. 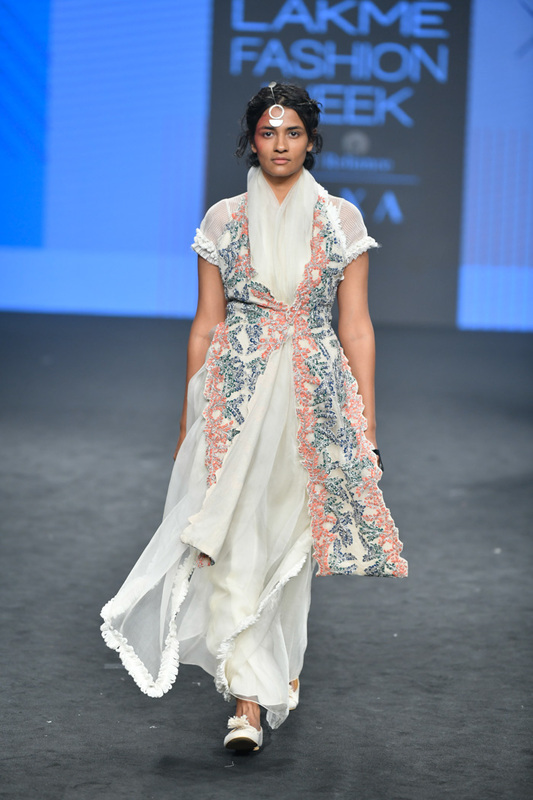 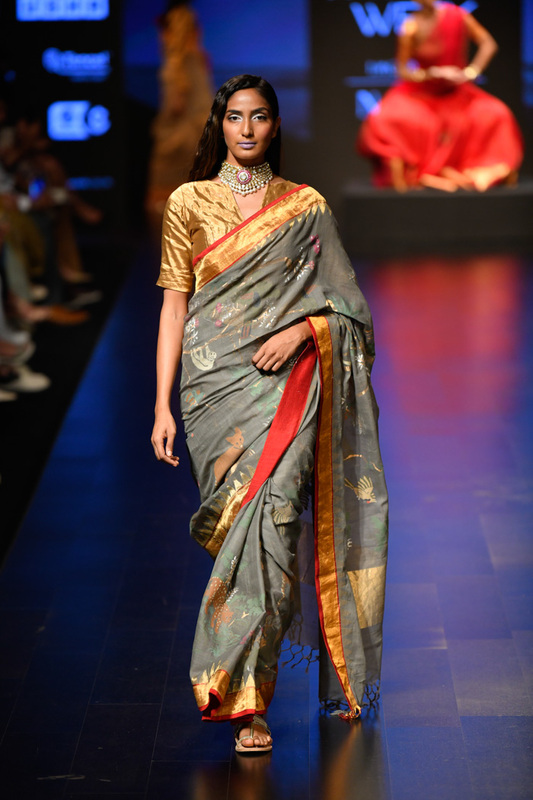 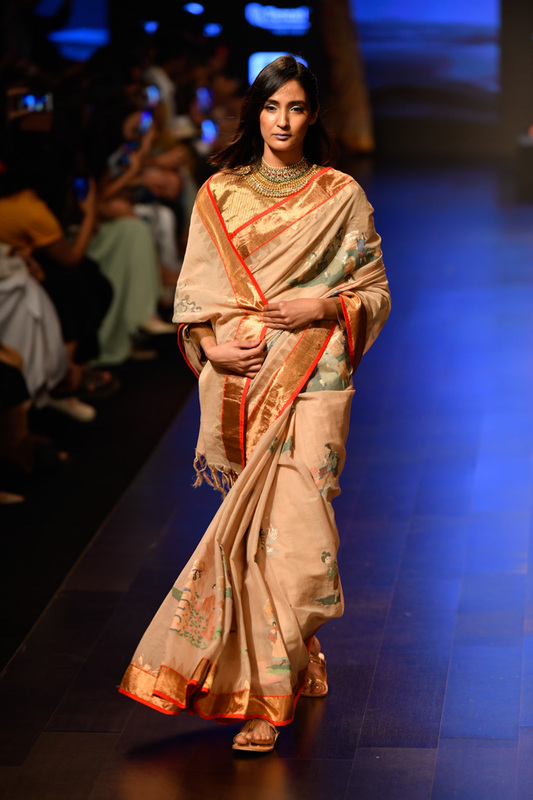 Swapna Anumolu of Mishru returned to the runway with ‘Reminisce’, an ethnic wear collection that took inspiration from all of Hyderabad, right from the Paigah tombs to the Chowmahalla Palace. 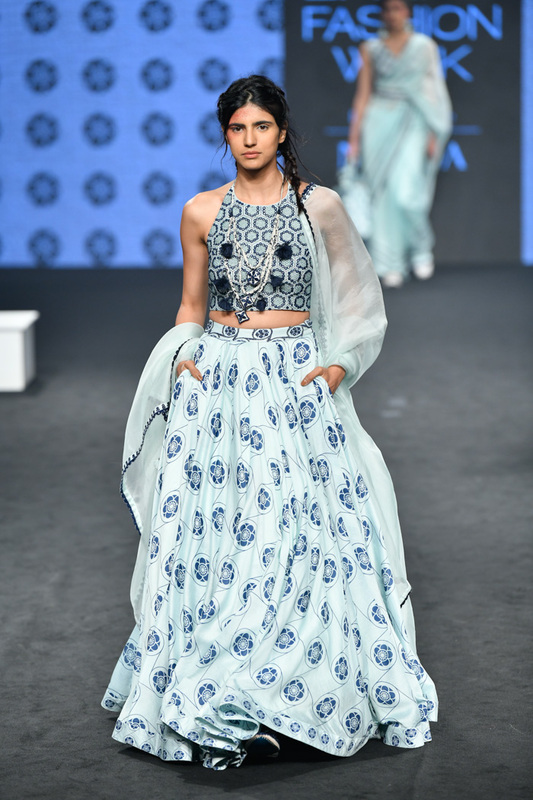 Fabrics like gota lampi, tulle, organza and silk were decorated with hand embroideries, pearls and miniature glass beads in floral motifs. 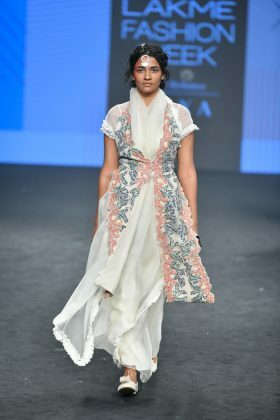 The colour palette included shades of white, ivory, blush, mauve and grey. 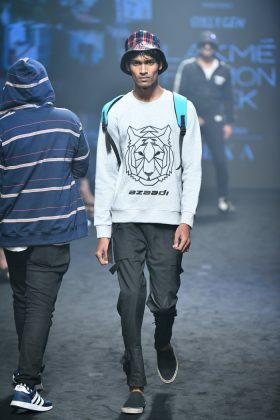 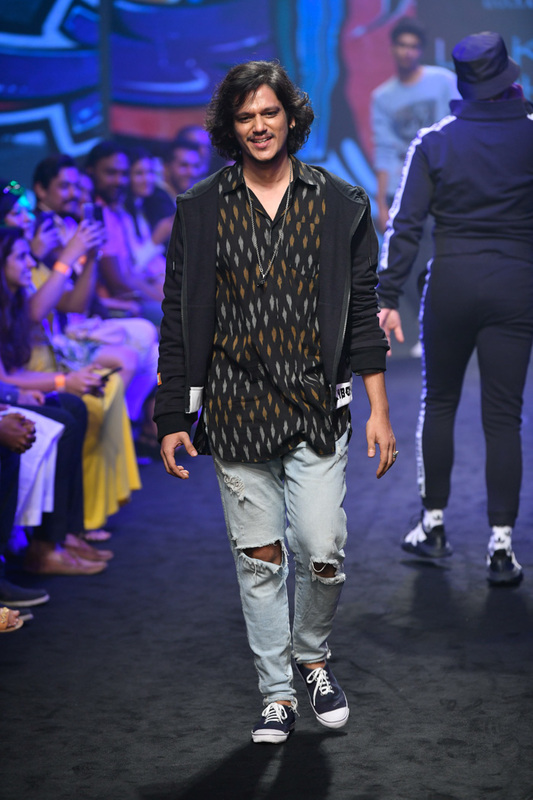 Gully Gen, a collaboration between label Love Gen and Ranveer Singh and Alia Bhatt’s movie Gully Boy, celebrated the hip-hop and street culture of India with its athleisure collection, showcasing menswear jackets, hoodies and T-shirts with statement slogans. 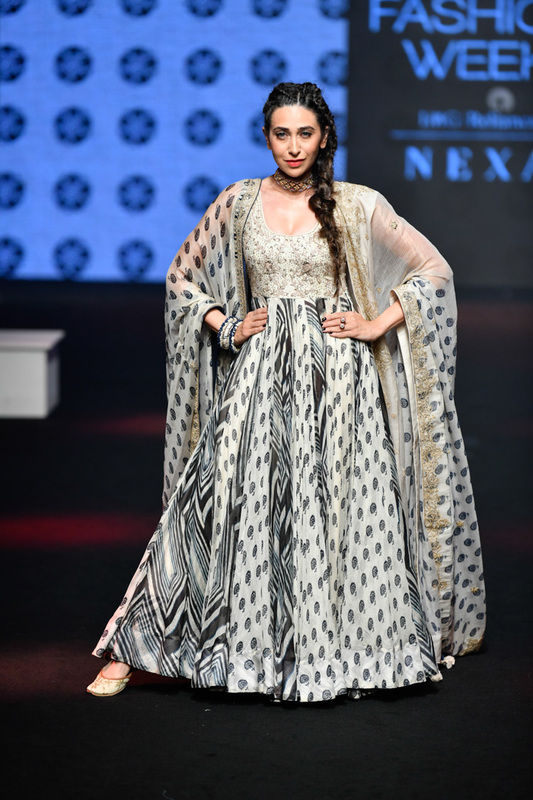 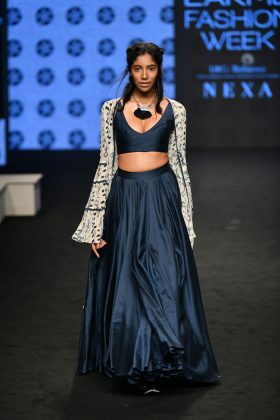 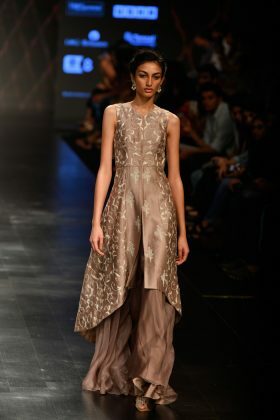 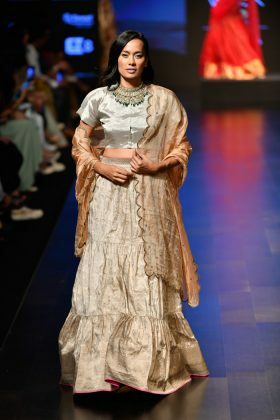 Punit Balana’s summer/resort 2019 collection ‘Maya’ championed eco-friendly techniques like block printing, as seen on showstopper Karisma Kapoor’s anarkali, which came with two dupattas. 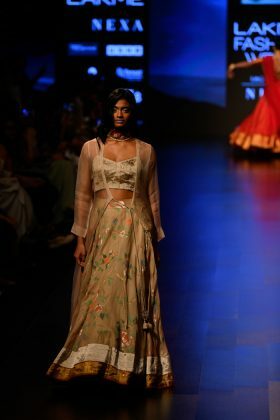 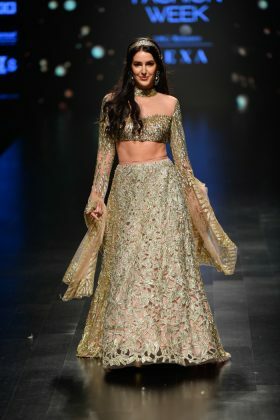 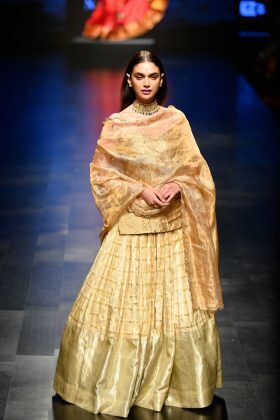 Sailesh Singhania showcased his signature weaves with his ‘Shahaana’ collection that saw saris, anarkalis and lehenga choli sets in light shades of beige and gold, offset with vibrant motifs. Aditi Rao Hydari showed her support for handloom in a golden lehenga choli set by Singhania. 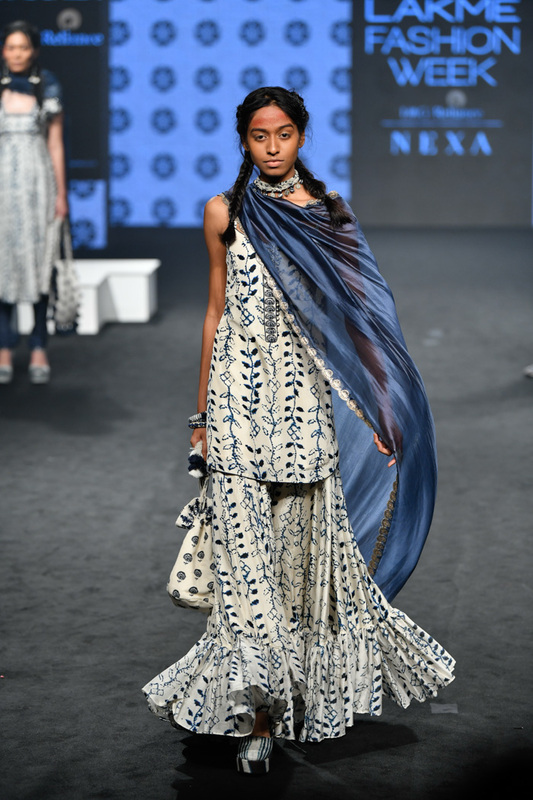 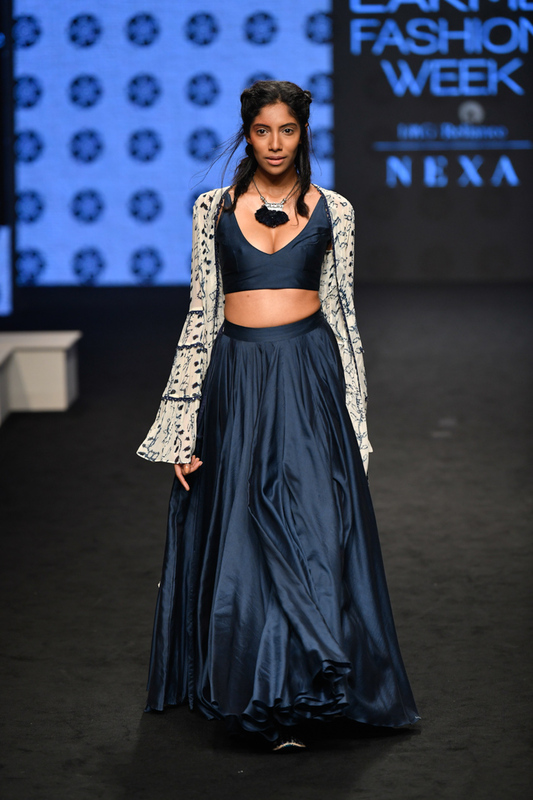 Neha Agarwal of Agami used block prints for her collection as well, along with zardozi work that offered comfort wear for Indian brides. 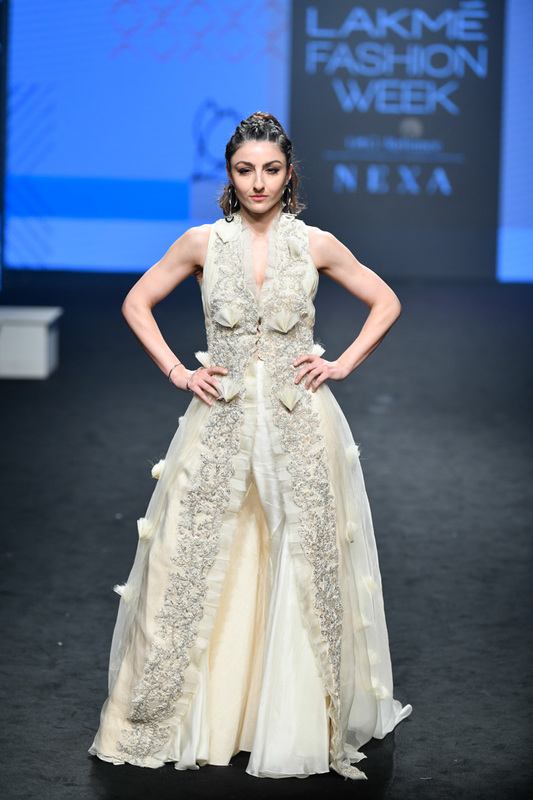 While Soha Ali Khan closed the show for Agarwal in an off-white front-open gown and palazzo set. 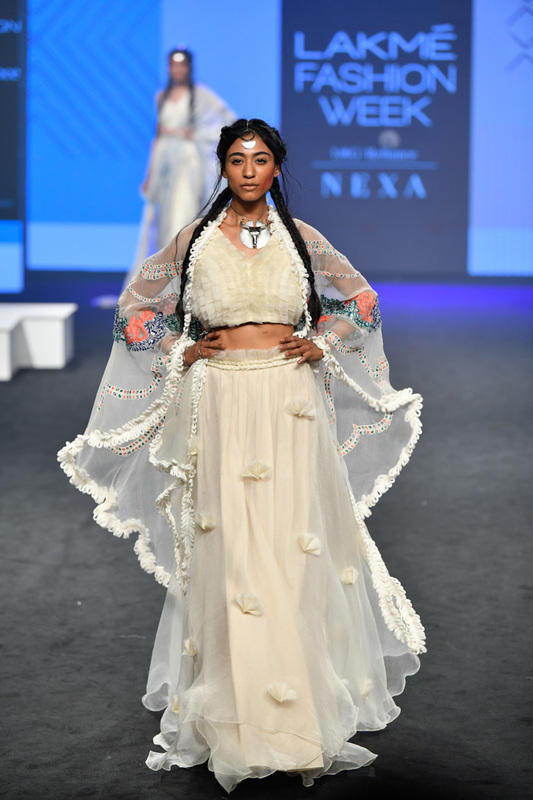 Shehla Khan’s collection was inspired by the 1980s and incorporated shoulder pads, bold embroidery accents and sheer fabrics, Shriya Som’s carefree ensembles featured elements of raffia in a tribute to the free-spirited woman of today. 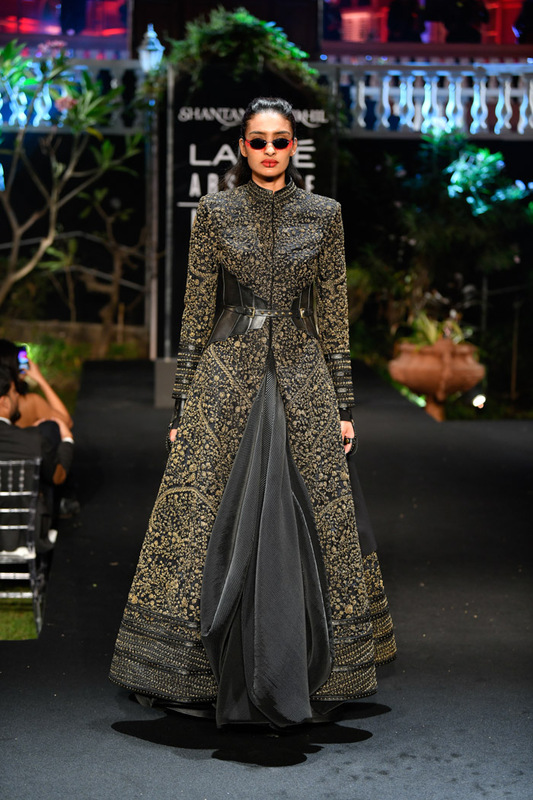 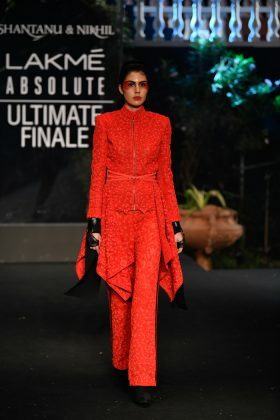 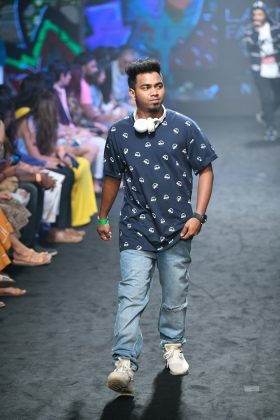 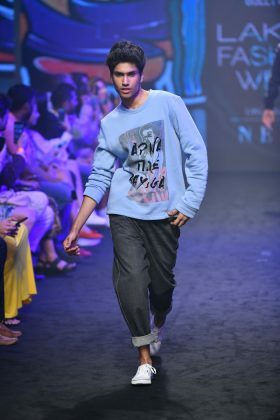 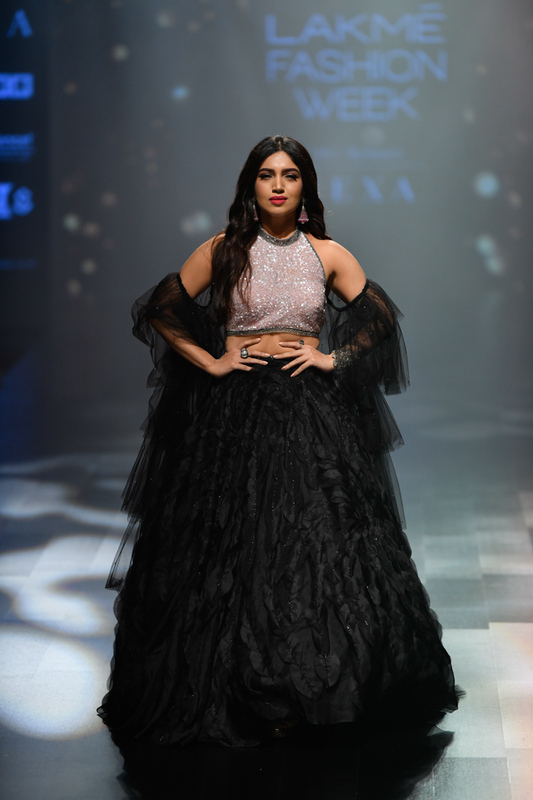 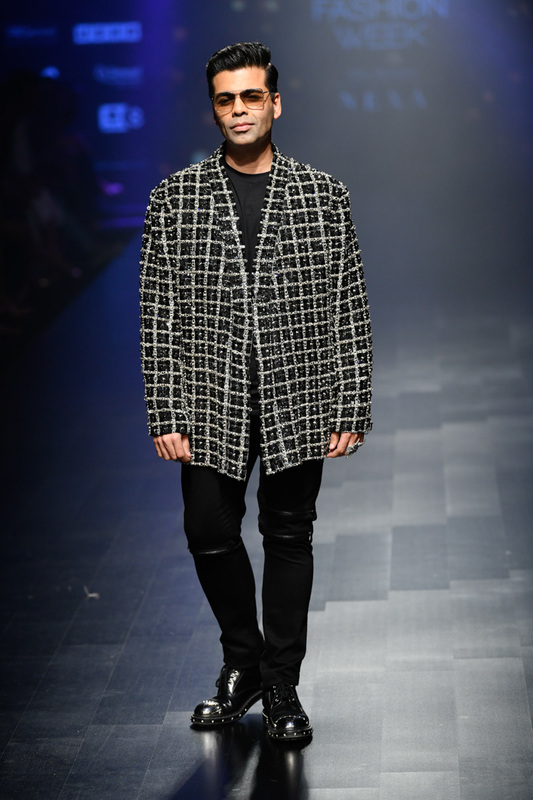 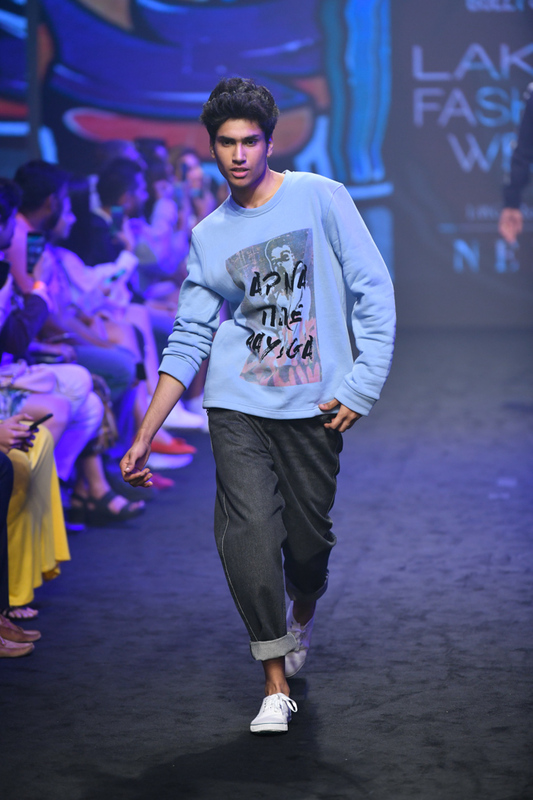 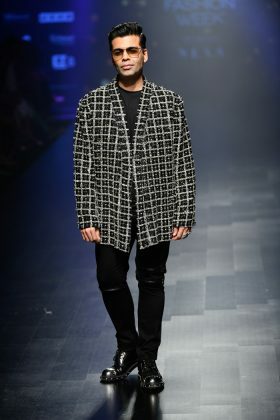 Designer duo Shantanu and Nikhil closed the Lakme Fashion Week Summer/Resort 2019 showcasing their collection ‘Recruit’. 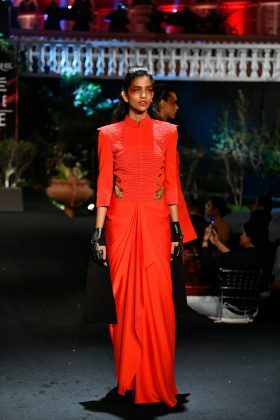 The collection included bold black and red gowns, saris, jackets and leather pants. 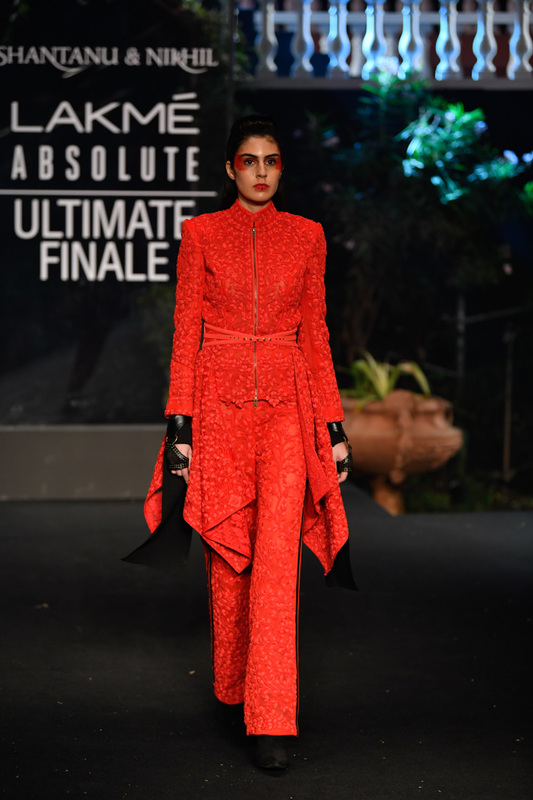 The designers used red as the primary color to communicate Lakme’s Matte Reinvent theme. Bollywood actress Kareena Kapoor Khan walked the ramp in an all-black tube gown as the showstopper at the grand finale.